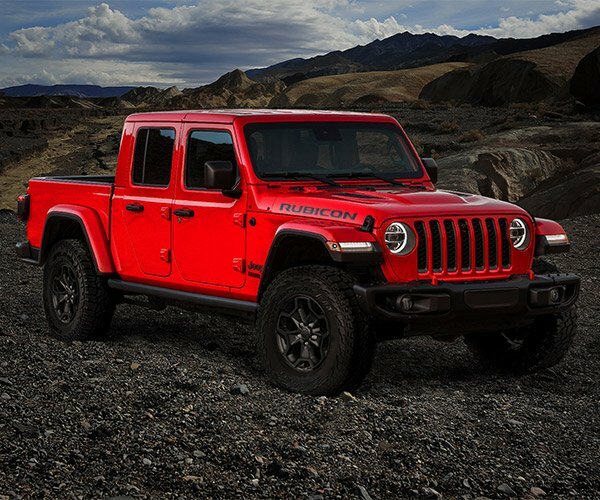 After all the speculation and leaks, the 2020 Jeep Gladiator truck got official this week at the 2018 LA Auto Show. 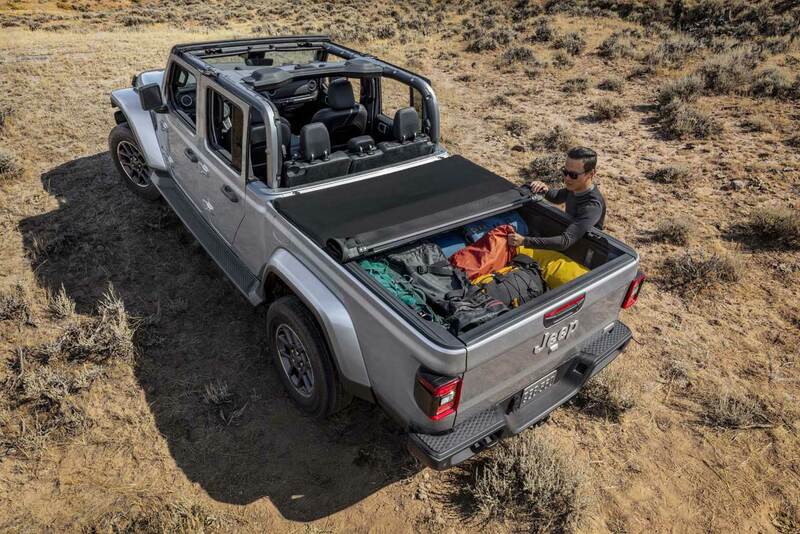 The 218-inch long Gladiator looks like a 4-door Wrangler with a 5-foot bed tacked onto its back. 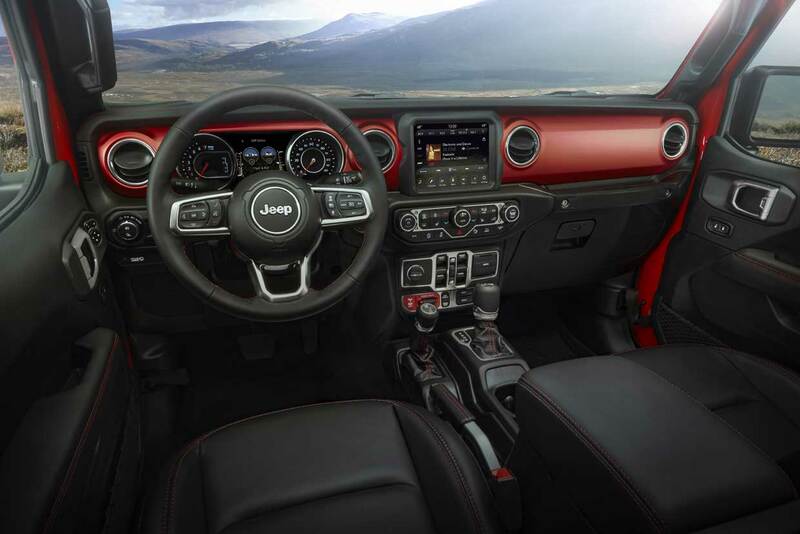 While it may look like a Wrangler, it rides on a completely unique frame. 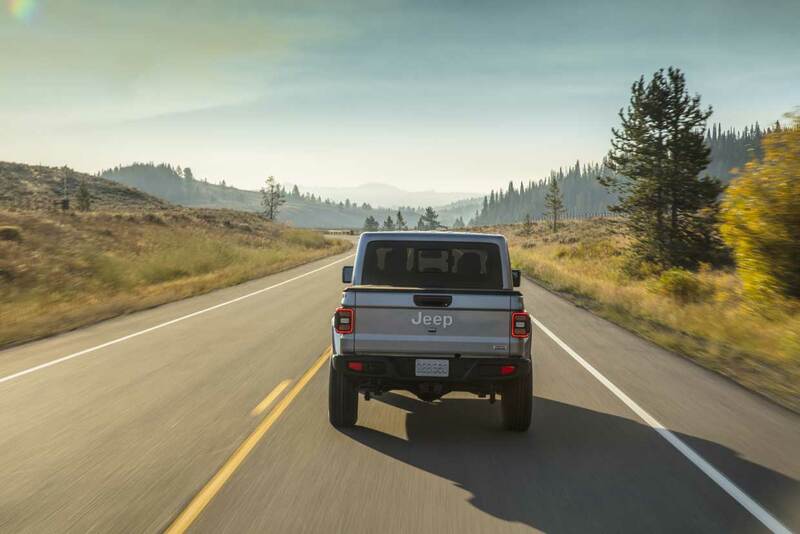 It may seem long for a Jeep, but it’s just a few inches longer than other midsize crew-cab pickups with a short bed. 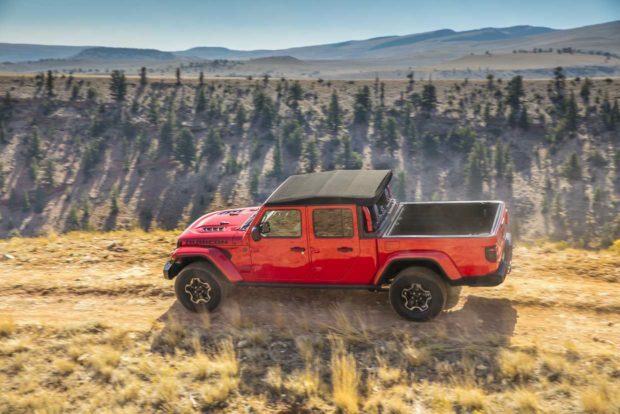 The Gladiator is much longer than the Wrangler Unlimited, and that might pose an issue for tight trails or steep break-overs, but this sure looks like the most capable truck out there for off-road enthusiasts. The Gladiator will come in Sport, Sport S, Overland, and Rubicon versions. 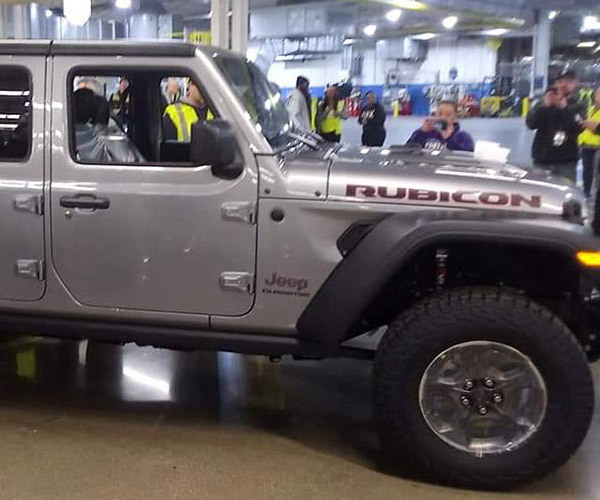 The Rubicon has all the fancy electric front, and rear axle lockers, a limited slip diff, and electronic sway bar disconnects. 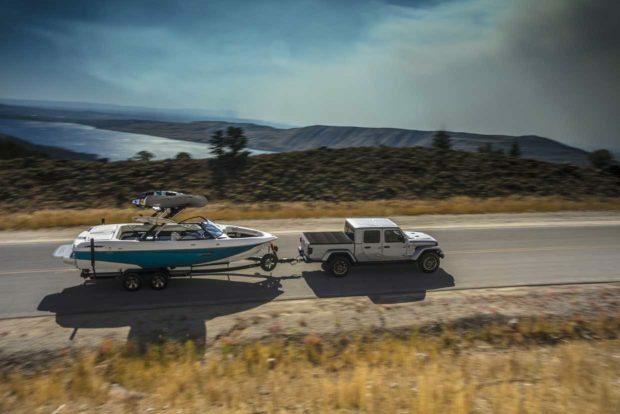 That model also gets Dana 44 axles and can ford up to 30-inches of water. All Gladiators can tow up to 7,650 pounds, and have up to 1,600-pound payload capacity. 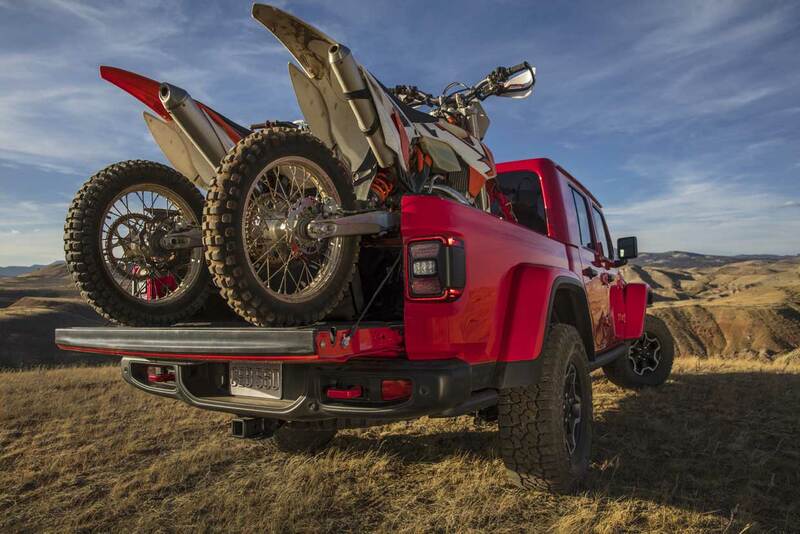 A huge number of Mopar accessories will be offered for the Gladiator, and it can support up to 35-inch tires straight from the factory. 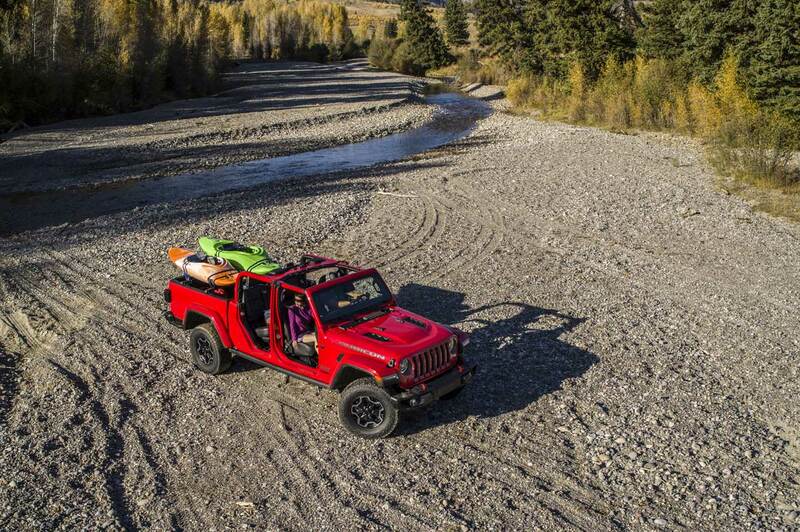 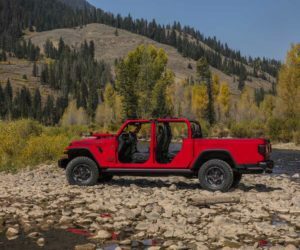 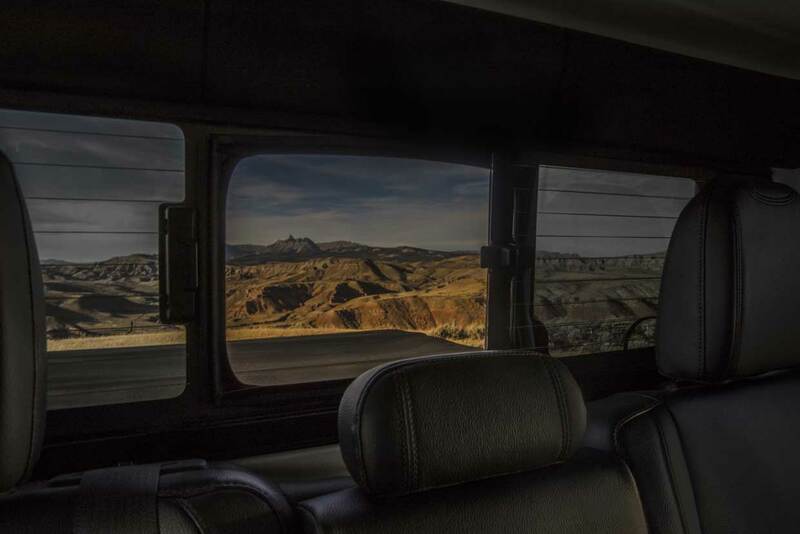 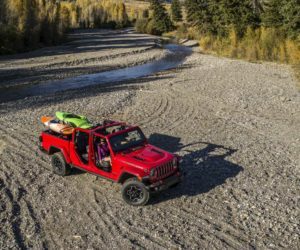 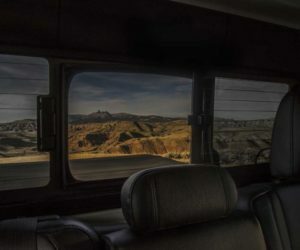 Just like the JL Wrangler, the Gladiator’s top is removable, its windshield folds down, and the doors are removable, making it the only convertible truck on the market. 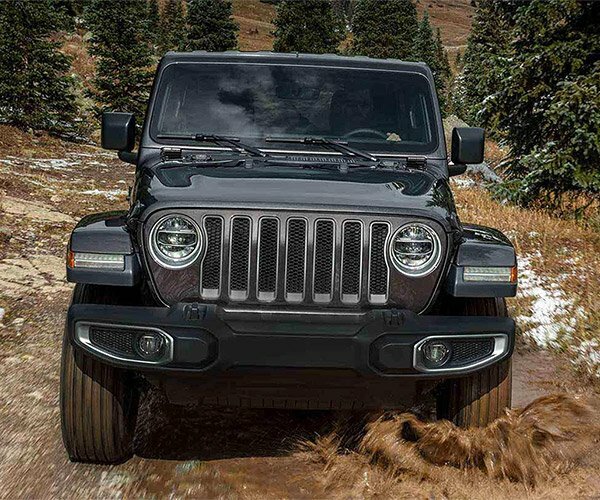 Engine options include the 3.6L Pentastar V6 with a 6-speed manual or 8-speed automatic. 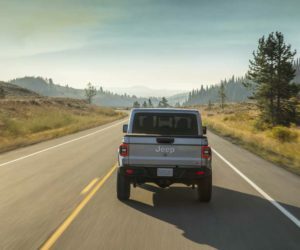 A 3.0L EcoDiesel V6 will land in 2020. 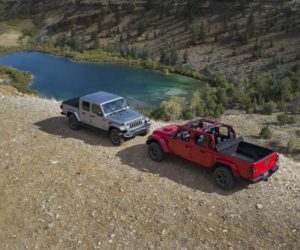 The 2020 Jeep Gladiator will be hitting showrooms in Q2 2019 All we need to know now is how much this will cost. 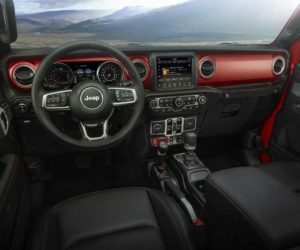 Our money says the base Sport version will start in the upper $30,000 to low $40,000 range, with a loaded Rubicon pushing $60,000.